In October 1952, Britain tested its first atomic bomb over the Monte Bello Islands in the Pacific Ocean. The following month, the US tested a 10.4 megaton hydrogen bomb – more than the total explosives used by all sides during World War Two. On detonation, its fireball measured 3 miles in diameter, and the giant mushroom-shaped cloud that it threw up, dropping radioactive mud and rain, measured over 100 miles in diameter. The following August, the Soviet Union tested a hydrogen bomb at Semipalatinsk in Soviet central Asia. For the rest of the decade, test after test was carried out – to mounting public concern over both the health consequences of widespread radioactive pollution, and the increasing danger of nuclear weapons use. By the end of the 1950s, over 300 nuclear tests had taken place, mostly in the atmosphere – and a new mass movement had been born. From its origins in local anti-testing groups – largely run by women concerned about hugely increased levels of radioactive strontium-90 in their children’s milk –CND burst onto the political scene on 17th February 1958. Attempts to win Labour to an anti-nuclear position had failed in 1957, leading intellectuals and campaigners to take matters into their own hands, calling for a mass movement to defeat Britain’s bomb. The result was a meeting of thousands of people at Central Hall, Westminster, filled to overflowing. The rest, as they say, is history. CND in its early years was inextricably linked to the social radicalisation of the time. The early Aldermaston marches, to the Atomic Weapons Establishment in Berkshire, represented microcosms of post-war, post-colonial Britain, articulating both widespread popular dissent and the social rebellion of the youth of the time. In many respects it was through the early mobilisations of the anti-nuclear movement that the radical politics of what were to become the new social movements were first expressed. The context of CND’s campaigns has changed continually: from the Cuban missile crisis to the war on Vietnam, from the height of the Cold War to détente, from the ‘evil empire’ of Ronald Reagan to the end of the Cold War, from the aggression of Bush and Blair through to the great dangers presented by Trump and his plans for ‘usable’ nuclear weapons. Our work throughout has focused on changing government policy, using diverse – but always peaceful – methods: from the mass protests at Aldermaston and Greenham Common, to our central role in post 9/11 anti-war campaigning, to today’s struggle to prevent Trident replacement and win support for the United Nations’ global nuclear ban treaty. Our core objective, of UK nuclear disarmament, remains as yet unfulfilled. 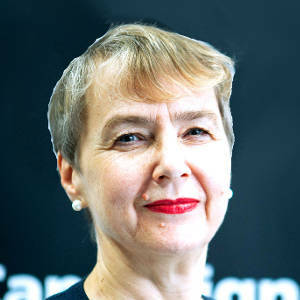 But it is clear in retrospect how CND’s campaigning – and that of its international partners – has affected government policy and decision-making, both at home and internationally. Reading government documents and diaries years later, one can see how the pressure of public opinion and mass mobilisation really does have an impact, and each generation of CND has played a part in that. The banning of nuclear tests in the atmosphere is one very important example; another is the abandoning of the neutron bomb (designed to kill people while leaving property intact) or Nixon’s pulling back from using nukes on Vietnam. Above all, we have helped instil a sense, in the popular consciousness – and thereby in that of our political leaders – that use of nuclear weapons would be a catastrophe, an unthinkable tragedy. So it’s sixty years and still counting. CND is here to stay – until the monstrosity of nuclear weapons are abandoned. Trident replacement and its £205 billion price tag remain within our sights. Support for the UN’s global nuclear ban treaty – already backed by a significant majority of states – is being built. However the political context changes, our goal remains the same. And ultimately, we will prevail.